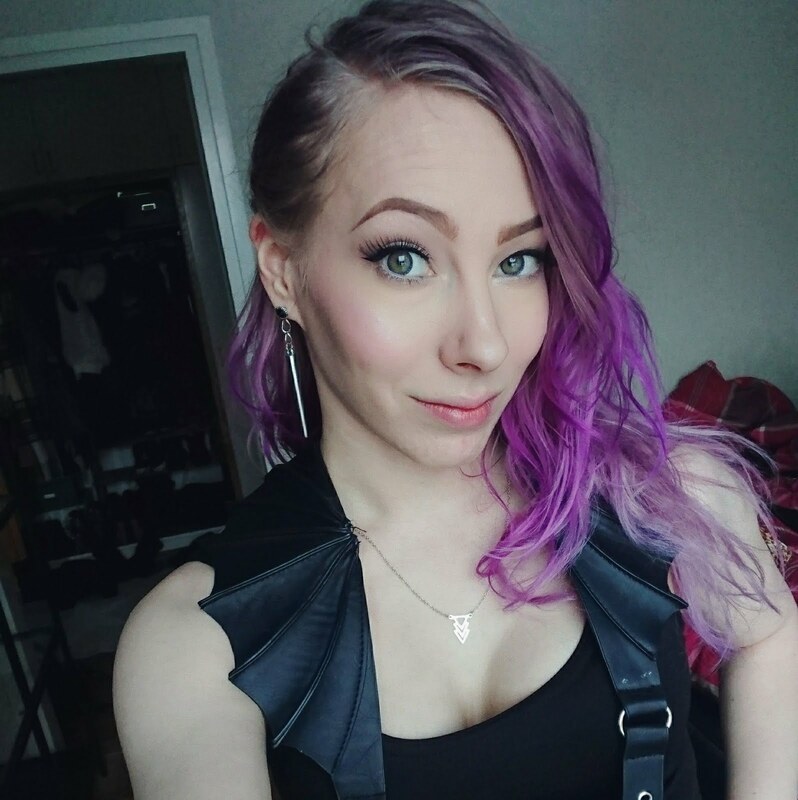 I'm typing my post on my phone today so excuse me if the editing isn't the neatest this time around. But I really wanted to share this post with you today so that we can soon wrap up the Halloween posts this year. 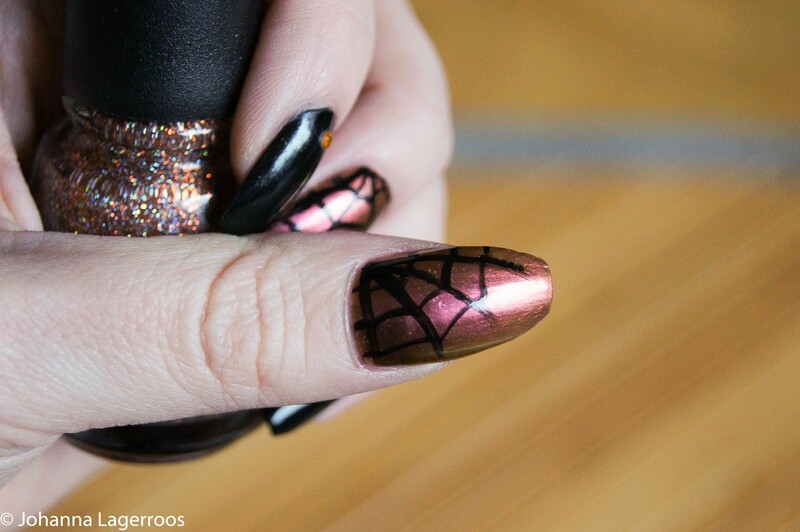 I will have a last minute costume post up tomorrow and then one more nail art post on Monday, but then we're done. It's kinda sad Halloween is over but on the other hand I get to plan so many other posts and even start focusing on Christmas stuff soon. However first let's focus on today's nail art post. 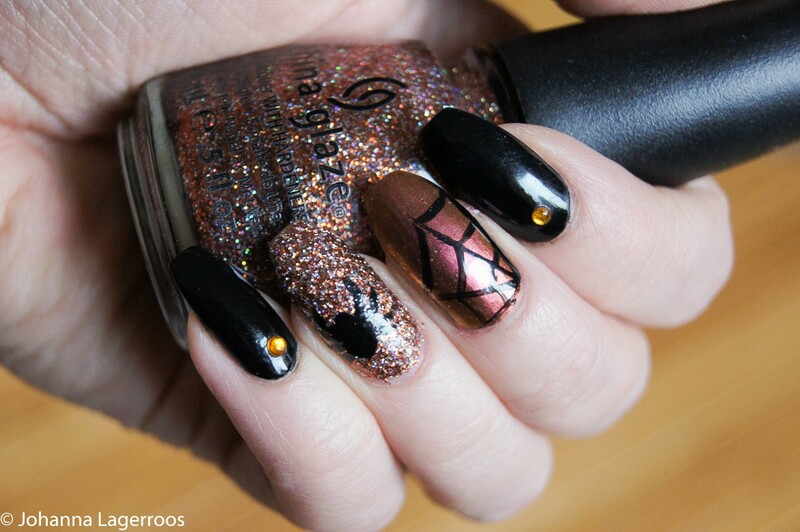 This nail art design takes inspiration from spiders, like you can see. I dread spiders a lot in real life, but I don't mind them in Halloween themed stuff. Like nails. Especially if glitter is involved. I found the glitter polish I used here from my drawer and remembered it being a Halloween one, so I really wanted to build a design around it. Luckily, I had a nice metallic polish to go with it so I could create a balanced looking mani. Painting the spider webs was one of the most fun things about this design. I've been enjoying doing some simple freehand paintings lately, and I think I may have to get more into that in the near future. The polishes I used for this mani were once again by China Glaze. The shades used are called Liquid Leather (black), Glitter Goblin (you guessed it, the glitter one) and Cabin Fever (the duo chrome metallic). 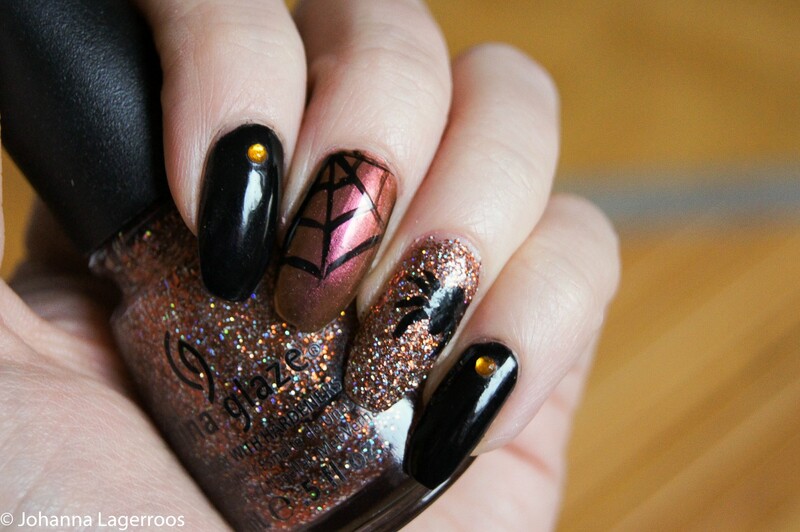 For the spiders I used dotting tool and thin nail art brush as tools and for the webs only the thin brush. The rhinestones I added are from Born Pretty Store. What do you all think about this nail design? Let me know in the comments below! I hope you're all having a fun Halloween weekend. I'm mostly spending mine home watching sports and other fun stuff. And maybe also trying some Halloween cooking if I feel like it. But anyways I'll see you all in the next post tomorrow! 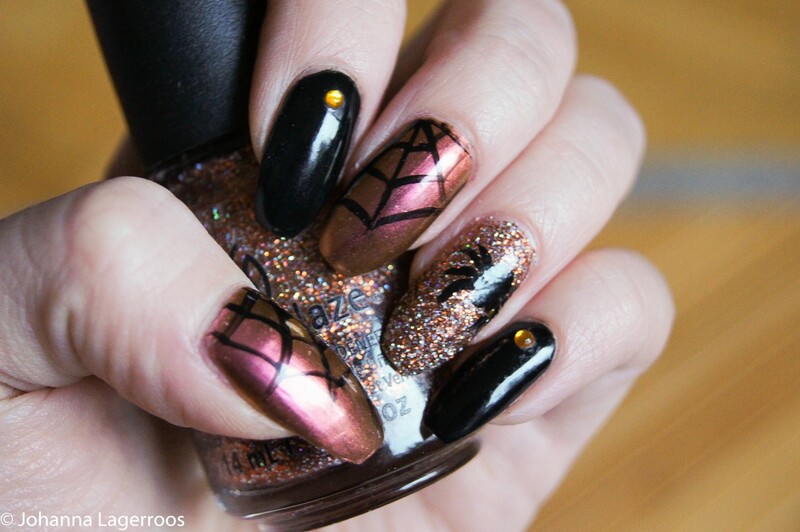 Love the nail polishes you used for this nail art, especially the glitter one.